Amazing! Fantastic! Uncanny! Only a month after issue #3 made its debut at the ALA conference, you can now purchase your own copy on our Etsy store! 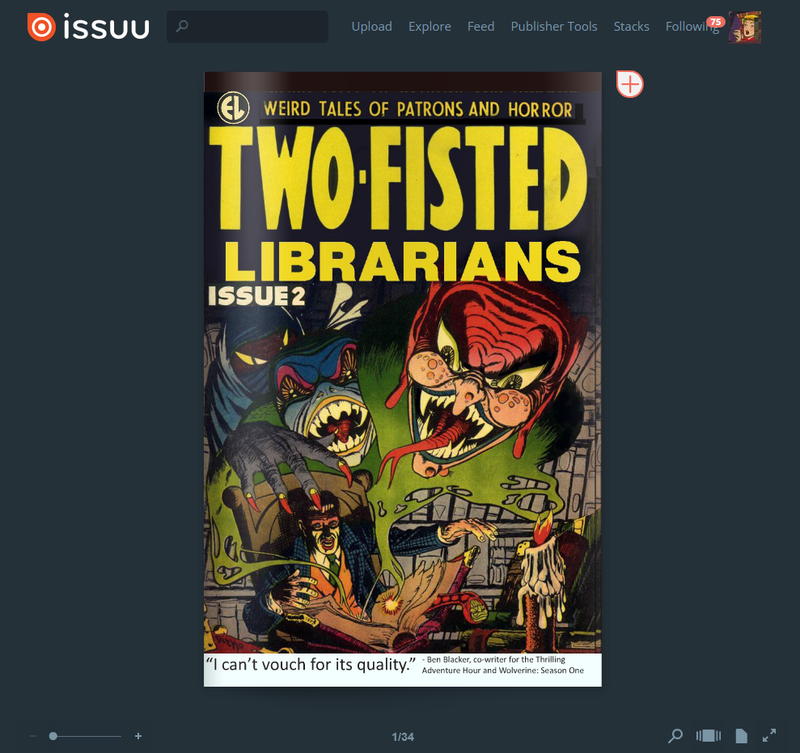 Two-Fisted Librarians #2 on Issuu! So you might have heard that Two Fisted Librarians #3 was available at the ALA conference in San Francisco a few weeks ago. It was! However, if you want to get your own copy you'll have to wait just a little bit longer. To tide you over until then I've put the second issue on Issuu!